Master Formula Daily Multivitamin Packs are whole food vitamin and mineral supplements that come in a daily packet. Each multivitamin pack supplies a natural wide spectrum of what you want in a multivitamin - B vitamins, vitamins A, C, D, E and K, folic acid, selenium, zinc, potassium, and magnesium. For men and women. 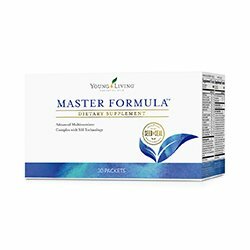 Master Formula Supplement was designed to support the nutritional needs of women's and men's wellness. It also contains NingXia Wolfberries which have vital natural minerals, vitamins and antioxidants. For optimum wellness, consider adding a probiotic, Omega 3 and digestive enzyme daily in addition to Master Formula as part of a core foundational nutritional program.Or check out Core Supplements Kit. This is an easy reference guide for Master Formula Daily Vitamin Supplement. 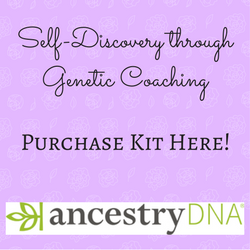 It will tell you how to use it and what to use it for! Want to Purchase Master Formula Supplement? Then go to The Oil Shop! Available in 30 daily vitamin packets. What are the Benefits of Master Formula Daily Multivitamin Packs? What is in Master Formula Daily Vitamin Supplement? Liquid Vitamin Capsule: Vitamin A (from beta carotene), Vitashine Vitamin D3 (Cholecalciferol), Vitamin E (d-alpha tocoperyl succinate), Vitamin K (K2 as menaquinone-7), Proprietary Master Formula Essential Oil Blend: Turmeric root oil (Curcuma longa), Cardamom essential oil (Ellettaria cardamomum), Clove (Syzygium aromaticum) oil, Fennel essential oil (Foeniculum vulgare), Ginger root essential oil (Zingiber officinale), Sunflower lecithin (non-GMO), Hydroxypropylmethylcellulose. What are the Documented Uses for Master Formula Daily MultiVitamin Packs? To sustain promote wellness in the body proper nutrients must be taken to provide a core nutritional foundation. What Healthy Body Systems are Supported? Supports the whole body and additional antioxidants to promote cell health. How do I use Master Formula Daily Vitamin Supplement? Take 1 of each color capsule daily. Capsules can be taken separately or combined together in 1 daily dose. Keep in a cool dry place. Keep out of heat or direct sunlight. Can this Product be used for Animals? I would not use this product for animals. What are the Safety Precautions? Do not exceed recommended dosage. Keep in a cool dry place; and out of heat or direct sunlight. Please consult your doctor if pregnant or under specific care.